Winter can stretch on in the Northwest. The magic of Christmas has faded and the romance of Valentine’s Day is past. It’s a long stretch until summer, but for 10 days in late February we can look forward to doing something we all love to do — eat. And by eat, we mean eat really good food, for a really good deal. Inlander Restaurant Week is back Feb. 21-March 2, with more than 100 restaurants from Spokane to Coeur d’Alene, and everywhere in between, offering three-course meals for a set price of $21 or $31. So pack your bags and work up an appetite. Here are four reasons to plan a long weekend eating your heart out in the Inland Northwest. Spokane’s food scene is blowing up. Independent and chef-owned restaurants thrive here, and publications like the Los Angeles Times have taken note. 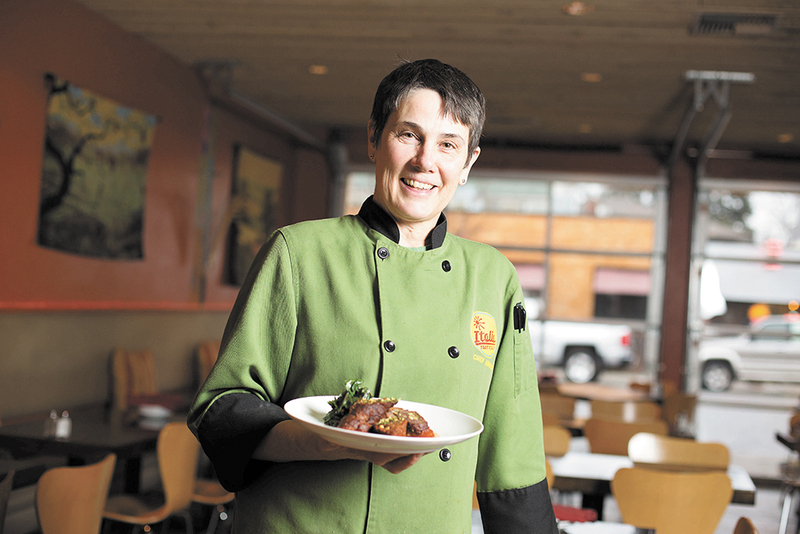 More local chefs are also finding their ways onto prestigious award lists. 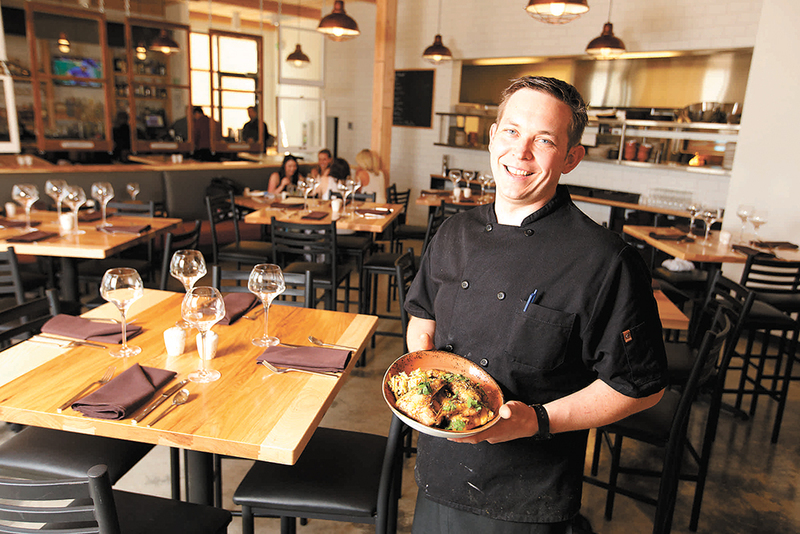 For four years straight, Inland Northwest chefs have been named semifinalists for the James Beard Awards, and all four are participating in Inlander Restaurant Week for the bargain price of $31. At Italia Trattoria, Beard semifinalist Anna Vogel is featuring seasonal, Northwest flavors rooted in Italian cuisine on her Restaurant Week menu. Laurent Zirotti’s prix fixe menu at Fleur de Sel showcases his masterful French cuisine with offerings like Crispy Snails with butternut squash and an onion petals tempura and Pork Cheeks à la Bourguignonne’. James Beard semifinalists Jeremy Hansen and Adam Hegsted’s restaurants are also participating. Visit Hansen at Sante, while Hegsted is the mastermind behind a fleet of restaurants including The Wandering Table, Gilded Unicorn, Honey Eatery & Social Club and the more casual ($21) Republic Kitchen + Taphouse. While foodies can find plenty of options during Inlander Restaurant Week, families can too. With more than 100 restaurants participating, every type of cuisine you could crave is on the menu — from Nudo Ramen House and O’Doherty’s Irish Grill to Das Stein Haus and nine (nine!) Italian eateries getting in on the three-course food fest. Put down The Backyard’s signature burger, or take part in the vegetarian offerings (Curry Mac and Cheese) or gluten-free items (hello, Braised Short Ribs) on Cascadia’s Restaurant Week menu. Local just tastes better. That’s why on every single Inlander Restaurant Week menu, diners will find at least three local options to choose from. For those wanting to really taste the Inland Northwest, that could mean throwing back a Northwest Old Fashioned at Anthony’s made with Spokane’s Dry Fly Bourbon, which sources its wheat from Eastern Washington farms. Sip a pint of Spokane Style beer from No-Li Brewhouse — an FDA recognized style of beer, in which all ingredients all come from within 200-miles of the city. With more than 40 craft breweries in the region, there’s no shortage of options. Wine lovers have choices too, with a bevy of award-winning local producers and restaurants with massive wine lists. 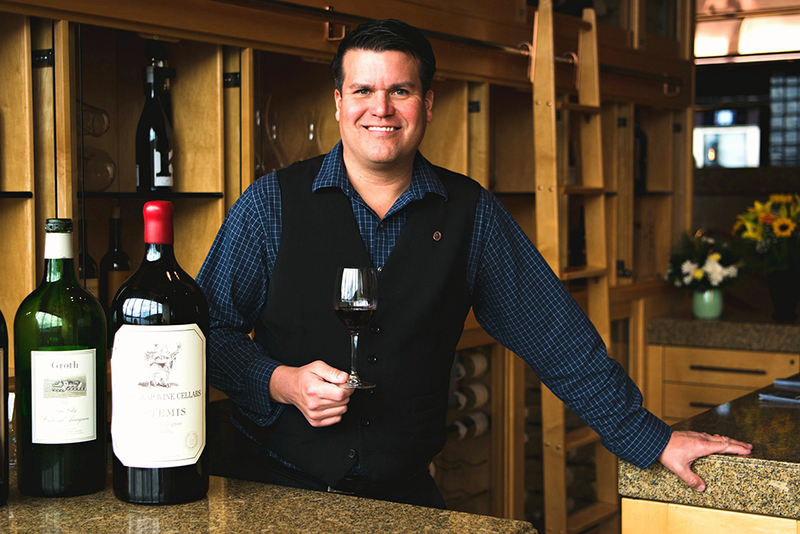 Beverly’s, a crowd-favorite during Inlander Restaurant Week, boasts a collection of 14,000 bottles from almost 2,100 selections, and Max at Mirabeau has been awarded the Wine Spectator Award of Excellence more than seven times. So you love fine wine and a good deal? Head to Masselow’s Steakhouse for an impressive Inlander Restaurant Week menu featuring USDA Prime steak coupled with an expertly curated wine list featuring over 325 regional and international wines, not to mention a ridiculous deal. Masselow’s is featuring a 14-ounce ribeye steak on its $31 three-course menu which typically sells for $49 outside of Inlander Restaurant Week. Downriver Grill is featuring a 7-ounce filet mignon on its Restaurant Week menu. Again, for $31. There are deals to be had. There’s fun to be had here, as well. During the 10 days of Inlander Restaurant Week, choose from three different concerts offered by Spokane Symphony. Gonzaga men’s and women’s basketball teams both host two home games during this stretch. And the Spokane Chiefs take to the ice twice Feb. 21-March 2. Jethro Tull rocks the Bing and Spokane’s Northwest Museum of Arts & Culture will open a new exhibition featuring the works of 18 internationally renowned studio glass artists, including Dale Chihuly. Winter may be long, but there’s lots eat, and so much to look forward to.